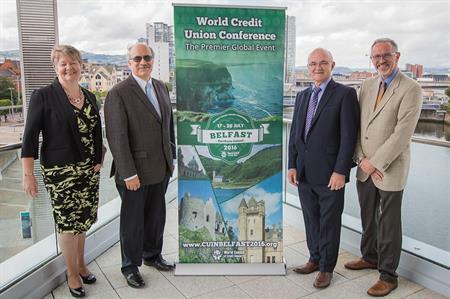 Almost 2,000 delegates from 55 countries gathered in Belfast last week for the 2016 World Credit Union Conference, bringing a welcome £3.7m to the city's economy. The event was held at the newly extended Belfast Waterfront from 17-20 July. 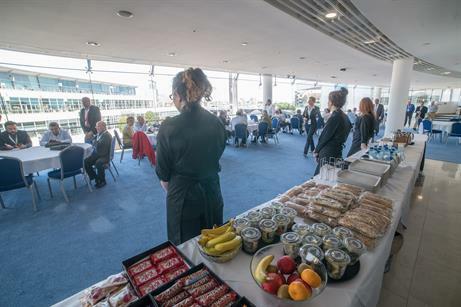 The World Council of Credit Unions (WOCCU) worked with over 60 local suppliers including 20 hoteliers to maximise the positive impact its event had on the region’s economy. During the four-day programme the 1,900-strong delegation enjoyed guided tours of the city and beyond, including the Mountains of Mourne and the UNESCO world heritage site, The Giants Causeway. The conference concluded with a closing party at Titanic Belfast and the new Titanic Exhibition Centre. The Irish League of Credit Unions lobbied for seven years to bring the conference to Belfast. The venue's new extension, which opened in May, made it possible. Brian Branch, president and CEO of World Council of Credit Unions said the venue "exceeded expectations" and that staff went "above and beyond" to facilitate a successful event. 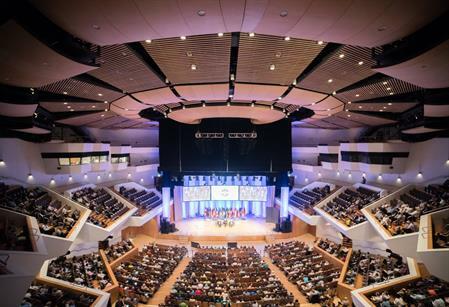 The £29.5m extension was funded by Belfast City Council, Tourism Northern Ireland and the European Regional Development Fund to enable the city to secure more international conferences. Ellvena Graham, chair of the Belfast Waterfront and Ulster Hall Board, commented: "The new Belfast Waterfront was built to help the city attract conferences of this magnitude and in doing so reaffirm Belfast’s position as a leading business tourism destination on the world stage. "Having more space and almost 20 years’ experience of hosting prestigious events, has enabled us to secure a wider range of conferences. 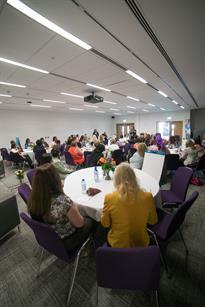 So far the team has contracted 40 events which will generate £28.7m for the local economy," she added. Visit Belfast aims to double tourism spend in the city by 2020.